A color lithograph of Atchison, Kansas. 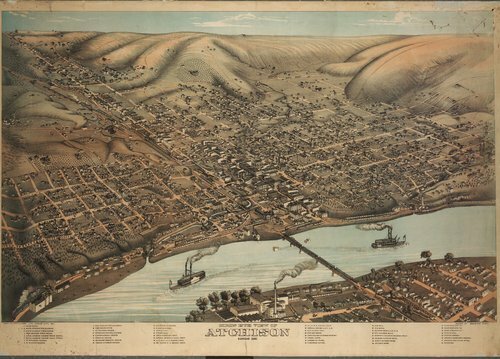 The lithograph shows the location of buildings, churches, schools, businesses, railroad, and steamboats on the Missouri River. A legend is provided to identify some of the buildings.